Vodafone has opened pre-orders on both the Sony Ericsson Xperia Play and Sony Ericsson Xperia Arc today. 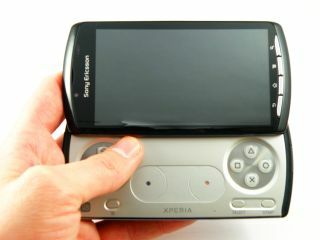 The Sony Ericsson Xperia Play will be available for free on a £35 per month 24-month contract, just as we suspected. The network will throw in 900 minutes, unlimited texts and 750MB of data each month, and the first 1,000 people to pre-order will get a free Sony Ericsson dock too. Meanwhile, the Arc comes in a little cheaper; free on a £30 per month 24-month deal, which gets you 600 minutes, unlimited texts and 500MB of data a month. Anyone who pre-orders either handset in March will also enjoy free Vodafone-to-Vodafone calls for the life of the contract. Both Android Gingerbread-running handsets are set for launch very soon – the Sony Ericsson Xperia Play UK release date is 31 March, while Vodafone says the Arc will hit on 1 April.